Millennial students are a tech-savvy bunch, and so a large proportion of them will be more au fait with note-taking apps than the classic pen-and-paper method. The trick is to see this as a different approach, rather than laziness. Revolving learning around technology is no bad thing so long as it gets the job done. A mere ten years ago, universities would have been wary of encouraging students to source material online. Compare that to the situation now: information and resources are sent out and shared via the internet, and students may as well not turn up in Fresher’s Week if they don’t have at least a laptop. Universities and colleges have woken up to the fact that millennial students are far more familiar with technological avenues, and so they are more likely to succeed if these avenues are exploited for their academic development. There is an enormous wealth of articles, data, and reports in online archives and libraries that students can access with the click of a button, so don’t perceive the focus on techy methods as a bad thing. If anything, the easy availability has opened up a host of opportunities for students that were never possible before. Millennial students develop traits in their academic lives that will continue into their working ones. Most millennial workers are characterised by their constant want of feedback and reports on their progress; those workers will have been the same at University, College, and School. This is not to say that millennial students are attention-seeking, but rather that they are constantly looking to be told how they are doing and in which areas they can improve. Millennial students understand that there will always be areas in which they can better themselves academically, and asking for feedback is the way in which they can find out what those areas are. The easiest way to match this desire for feedback is by giving it before it is asked for. If tutors arrange frequent meetings with their students to discuss their progress, students can keep track of how they are developing academically. 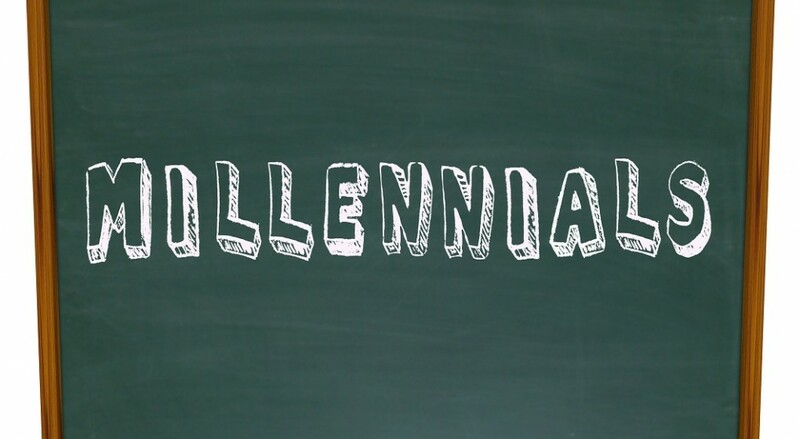 The stereotype of the millennial generation is that they seek job satisfaction and fulfilment above and beyond a large salary. Where millennial students are concerned, a similar statement can be made: success is sometimes secondary to enjoyment. Tutors can therefore expect students to be pre-occupied with subjects that fascinate and compel them, rather than ones that will be crucial for their career later on. A good approach to this is to encourage millennial students to find aspects of each subject that fulfil them, or ways in which they can tackle them that will enhance their enjoyment. Sporty millennials may not find history fulfilling, but if they think of the battle as a rugby match, they can transform their perception of the subject. Tutors should help students find ways to make the topic as relevant to them as possible in order to combat the fulfilment vs. success problem. Millennials are a far more intimate bunch than most people expect. Many non-millennials consider them to be self-centred, and unpractised in the art of human interaction. However, just because millennials do most of their communicating online rather than face-to-face does not inherently mean that they are anti-social. Indeed, where academic work is concerned, they actually thrive when a good rapport is established with a lecturer or tutor. When students can develop a friendly relationship with their academic seniors, they are more likely to engage in the subject and focus their energy into it. This generation likes a face and personality to be attached to what they are doing, so having a dynamic, personable teacher to guide them through a topic will work wonders, as will little unorthodox gobbets of information about the subject. If they know something risqué or quirky about Karl Marx, they may find their interest in his political significance increasing. Millennial students care about the unusual as well as the standard, and want a tutor they can have a good time with. A relaxed, informal approach to learning is favoured by millennials, and though this may not be everyone’s cup of tea, it is nothing more than one particular way in which students can get themselves interested in academia.